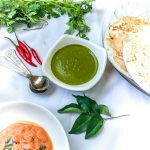 An another easy and tasty chutney made with 3 leaves – curry leaves, mint, coriander. 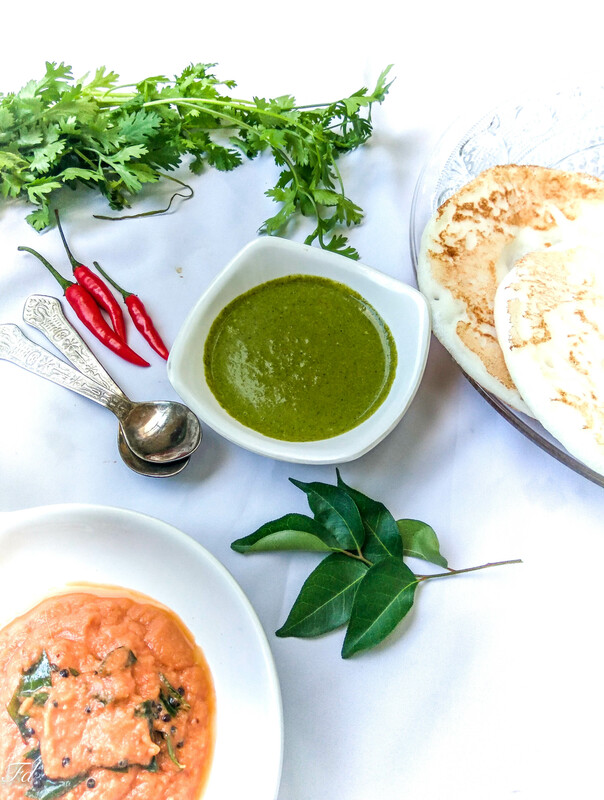 This chutney is a accompaniment to idli , dosa, as well as parathas. 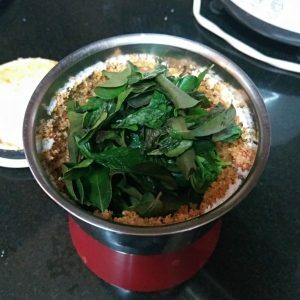 As it use 2 tbsp coconut and so cannot be stored for long days unlike the typical green / hara chutney. Clean the leaves. 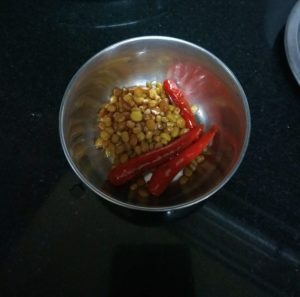 In a kadai, dry roast mustard till it cracks. Keep aside. Add oil to the kadai, roast in medium flame, urad dal, chana dal and red chillies with asafoetida until dal turns golden. 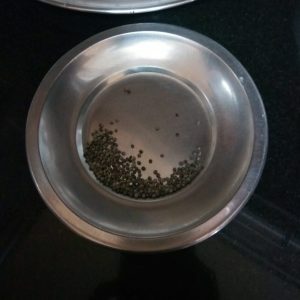 Remove in a plate to cool down. Add leaves to the kadai and in low flame saute for a minute. 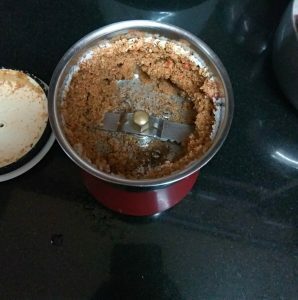 In a mixer, grind to coarse roasted chilli, channa dal, asafoetida, mustard along with tamarind, salt, jaggery and coconut. Add leaves and little water to a smooth paste. 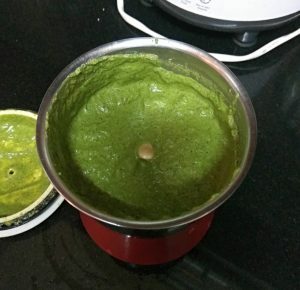 * If adding 2 tbsp coconut chutney cannot be refrigerated for more days unlike the typical green / hara chutney. 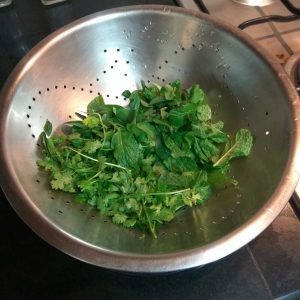 1.Clean the leaves using a strainer and keep aside. 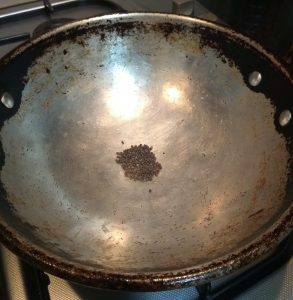 2.In a kadai, dry roast mustard till it cracks. Set aside and allow it to cool down. 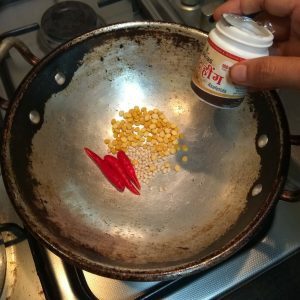 Add oil to the kadai, roast in medium flame, urad dal, chana dal and red chillies with asafoetida until dal turns golden. Remove in a plate to cool down. 3. 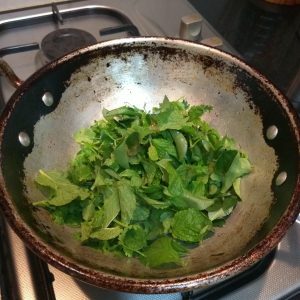 Add leaves to the kadai and saute for 1 minute. 4. 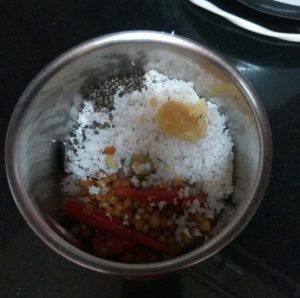 In a mixer grind to coarse roasted chilli, dal, mustard, hing along with tamarind, salt, jaggery and coconut. 5. Add leaves and little water, grind to a smooth paste.